"Who is those childrens dressed in red,"
"Must be the ones that Moses led." "Green trees in the forest are a' bending,"
Po' sinner will stay a' trembling,"
"whipped us til we cannot row,"
"will they never let us go,"
There is finally hope that we won't be found. 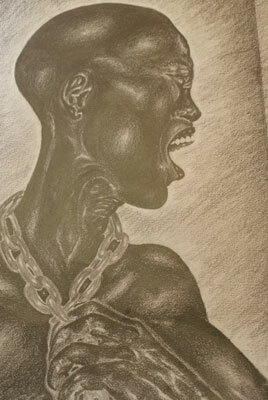 The underground railroad inspired my piece. The struggle of these people ran from the past to freedom inspired me to branch out and share their song with the world.